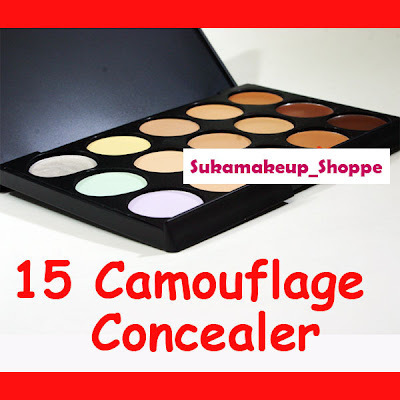 Since many of you asking me about smaller concealer palette, then I was like oklaaaah give lah smaller concealer palette...that is easier to bring anyway, and fit your handbag. There are green, purple, shimmer white (for highlight) and yellow base. Contour: to create shadows for a slimmer and more defined effects. You can also make your nose look taller with these amazing contour. 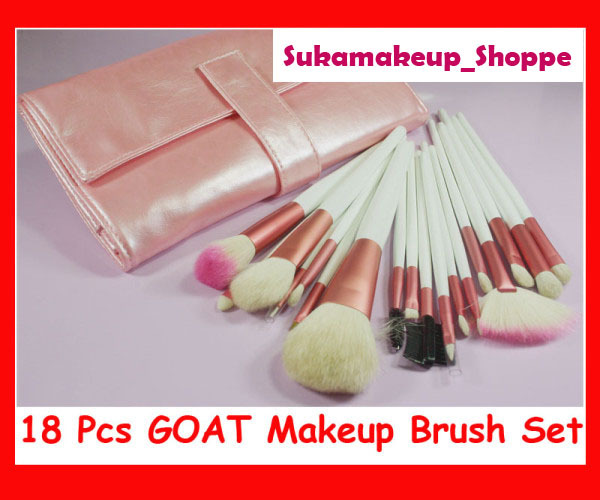 This is Professional 18 Makeup (GOAT) Cosmetic Brushes Set Pink. I mean...you have the whole complete set of make up brush...and they very soft too. 100% brand new PINK COLOR 18 Piece Make-Up Brush Set (Most made by Goat Hair). This brush set is essential for all of your makeup needs... whether you want to go for a natural day time look or a dramatic one for the evening. 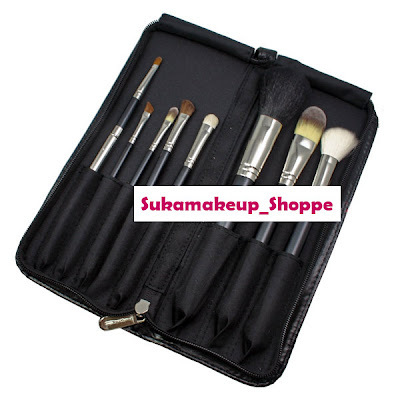 This brush set comes with a handy and portable roll up case. * Professional Choice, Studio Quality! 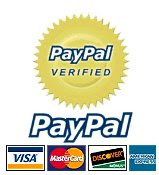 * 100% Brand New, Never used in original factory packing. * No animals have been harmed or maimed for of making these brushes. 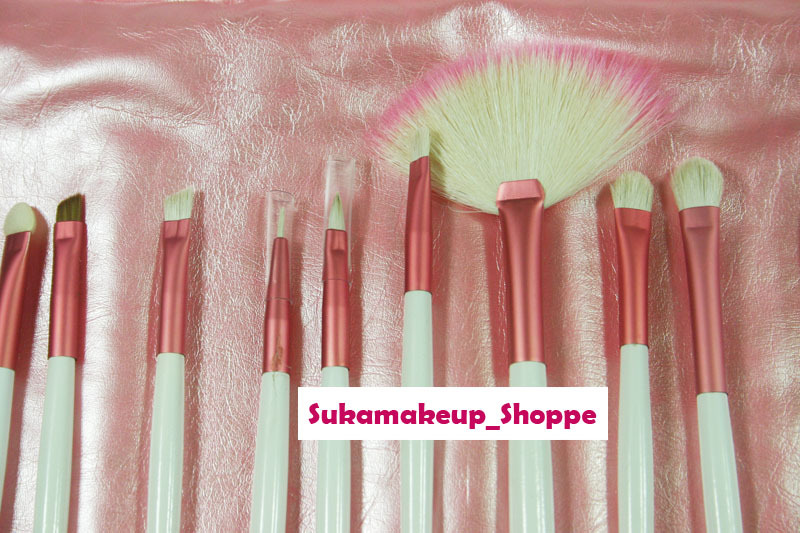 This stock just arrived....and trust me you'll love it..if you love MAC brush...then you'll love this set too. 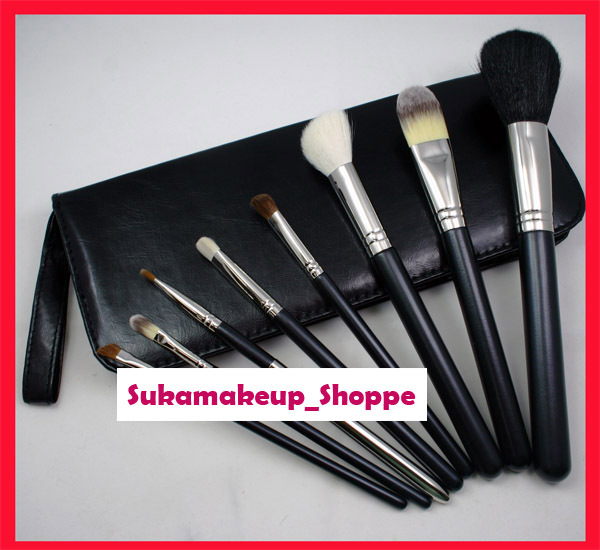 professional make up brush set comes with 8 important pieces for daily make up. You will get a free black brush case with the set.. 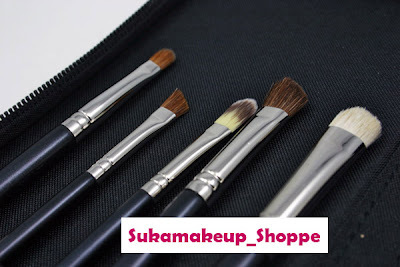 The full size brushes are very comfortable to use. 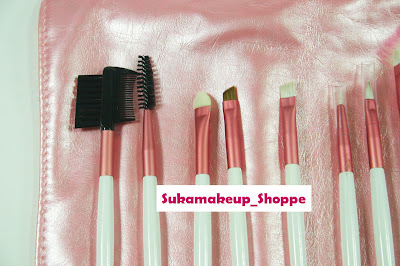 Each brush comes in its original plastic sleeve packaging. Its durability and quality make it worth to buy. 150 Large Body Powder Brush For application of loose or pressed powder and bronzer. It provides a greater blending. 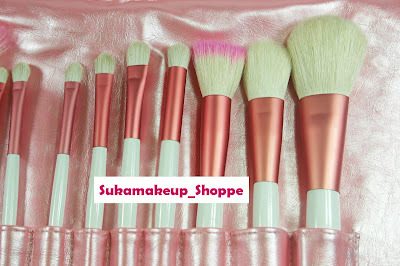 168 Angle Contoured Blush Brush The fibers form a buffed edge for expert application of the blush. Fibers are soft and firm. 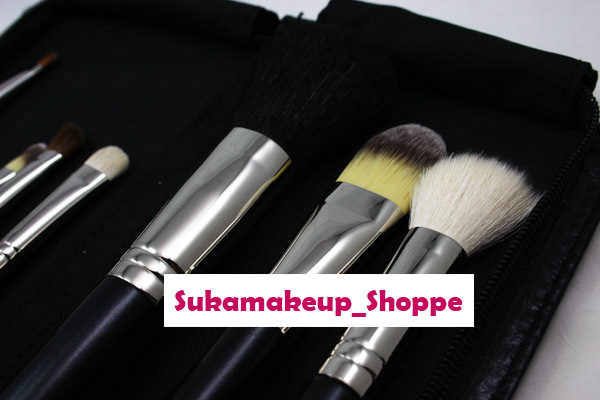 190 Foundation Brush For application and blending of foundation all over the face. It gives an even finished, flawless look. 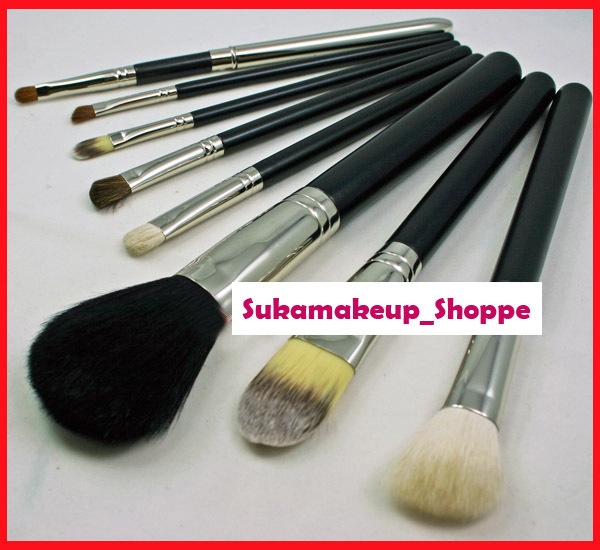 275 Medium Angled Shading Brush Soft, smooth fibers with a full, angled design are suitable for application and blending of eye shadows. 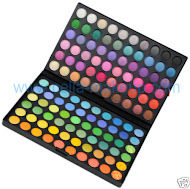 239 Eye Shading Brush Flat eye shading brush is very convenient for a precise application of eye shadow. 194 Concealer Brush Firm, flat, slightly tapered brush. Helps in blending, specially designed for small area coverage. 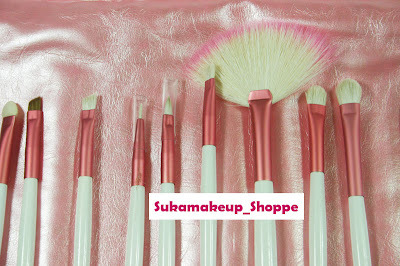 266 Small Angle Brush / Liner Extra fine tip of the brush provides an easy application along the eye. 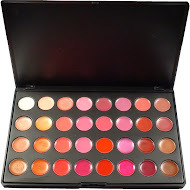 316 Lip Brush with metal cover This lip brush is for precise application of lipstick, lip gloss and lip conditioner. It comes with a special metal cover for a long durability. very soft and the quality is very good..
Be Beautiful...for open houses...wedding ceremony....company open house..
Tell you ladies the truth....my previous laptop was broken, and the internet connection at my place really bad. So I just terminate the broadband. But everything is ok...co I have my new laptop and new broadband.....and the internet connection is superb!!! Enough about me....so how's your holiday? Your Eid Celebration? Do you have fun, ladies? Ok....so now it is the time for open houses, wedding ceremony...even your company will do the open house, rite? 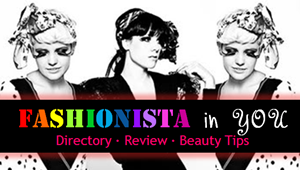 Let me tell you this thing that you need to look your best dear..... so grab you make up now, and lets be creative. I really wish you guys have the best Eid Celebration this year....be pretty too.